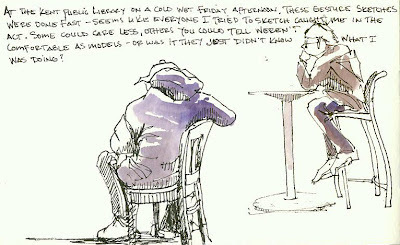 Our power had been out for four days and the temperature in the house was a cozy 46 degrees, so we found refuge at the Kent Regional Library along with hundreds of others with the same idea. 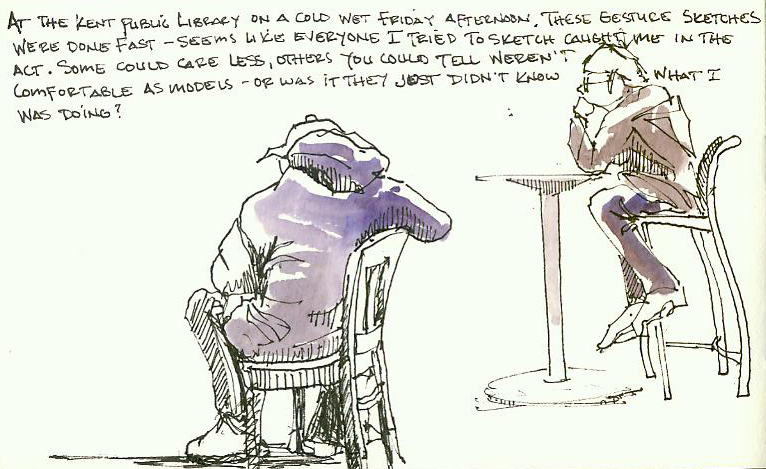 It made for good people watching and sketching. As always people aren't that active at the library. Nice Mark! And I agree, libraries make a great refuge. Mark - you captured the feeling perfectly with these poses. Great stuff! Al and Peggy thank you very much.